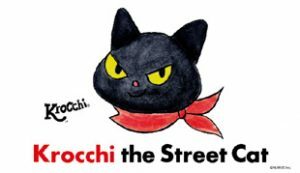 So Animation Magazine lead us to discover Krocchi the Street Cat, a new animated character brought to us by Nurue in Japan. Here’s what they say: “Krocchi is a tough cat who’s seen a lot, a new type of hero for children who teaches them to have a strong heart that never gives up, no matter how bad things get. Through this series children will learn creativity, and how to invent games with natural materials like grass and plants. And by dancing with Krocchi, they can have fun exercising too.” Besides the animated series for preschoolers, Nurue has also created a line of Krocchi artwork and plush toys. Currently they’re seeking international distribution, and they’ve had some success in Asia. image c. 2018 Nurue, Inc.
Looks like the popularity of the Uglydolls plush toy line continues to grow. After a graphic novel series several years ago, now there’s a new TV series in production for the Hulu network. According to an article at Deadline, STX will be producing the TV series and also has exclusive rights to the feature film which is also in production (and has been for some time). 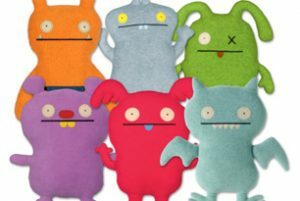 “Created as a plush toy line by David Horvath and Sun-Min Kim, the Uglydoll brand quickly gained a cult following around the world and was named Toy of the Year by the Toy Industry Association in 2006. Uglydoll characters are distinct for their endearing ‘ugliness’, in a wonderful ‘uglyverse’ where differences are celebrated and embraced.” Look for both the feature and the series in 2019. We’re going to lift this one wholesale from Animation World Network, because it’s cool! “Alchemy II has teamed up with The Jim Henson Company to develop an animated fantasy adventure series for kids ages 3-7 based on the popular Teddy Ruxpin property. 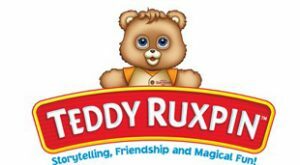 The new Teddy Ruxpin series will have an all-star team, including showrunner John Tartaglia (Splash and Bubbles, Johnny and the Sprites); producer Russell Hicks, the original head illustrator for Alchemy II during Teddy Ruxpin’s initial launch; global master toy partner Wicked Cool Toys; and The Jim Henson Company led by executive producers Lisa Henson and Halle Stanford. World-renowned Jim Henson’s Creature Shop will bring the series to life with its Emmy Award-winning Henson Digital Puppetry Studio (Sid the Science Kid, Word Party), which allows performers to puppeteer animated characters in real time allowing for more organic and natural movement. The new series will focus on important themes and skills like fostering self-esteem, empathy, and individuality.” Good stuff all, that. After a successful Kickstarter campaign, Fungisaurs.com is ready to get up and running. “What is a ‘Fungisaur’? Fungisaurs is the name we’ve given to our original dinosaur-mushroom hybrid species. 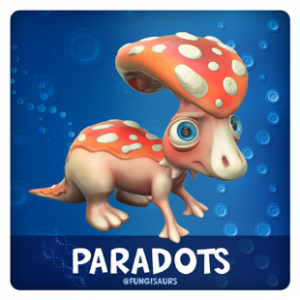 We hope to inspired adventure, science education, and appreciation for nature.” And they are going at those goals from several angles all at once: Starting off with 8 different Fungisaur designs, they have toys, dedicated merchandise, an animated origin story, and even an augmented reality app all in the works. As we’ve noted, if you’re talking about Furry Fandom the word “cute” is never far away. 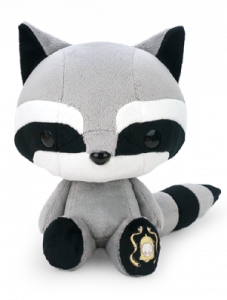 And if you’re talking about cute, plush animals are probably going to come up too. Well at the L.A. Comic Con we came across an artist called Bellzi, who specializes in cute plush animals. In literally dozens of designs in fact. “Anything and Everything Cute” their web site says, and they live up to that ideal! [Just back from PAW-Con in Northern California, and STILL getting caught up on stuff from Stan Lee’s LA Comic Con!] 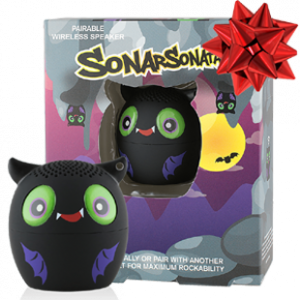 Here’s a useful item with a Furry Fandom twist: My Audio Pet is “…a powerful Bluetooth speaker that enables you to listen to your favorite music, podcasts, or shows wherever you are. All My Audio Pets feature: Easy wireless connection to most smartphones, tablets, and other Bluetooth-enabled devices, a built-in mic for convenient hands-free option, and a rechargeable battery allows for portable tunes wherever you go.” Not to mention, they come in several cute animal designs — all with equally cute names like “Owl-capella”. Visit their web site to see all their current designs. Tokidoki is a boutique toy and design company we encountered at Comic Con. Their web site describes them very well: “Headquartered in Los Angeles, CA, tokidoki was founded in 2003 by designer Simone Legno and his partners Pooneh Mohajer and Ivan Arnold. 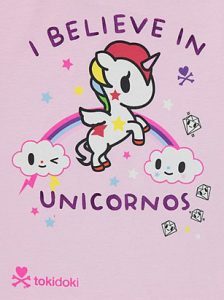 An innovative line of apparel, handbags, cosmetics, accessories and more, tokidoki has built a worldwide following with its larger-than-life characters and designs. The brand’s cult status has fueled high-profile collaborations with Karl Lagerfeld, LeSportsac, Onitsuka Tiger, Marvel, New Era, Hello Kitty, Fujitsu, Levi’s, Smashbox cosmetics, Xbox, T-mobile, Fornarina, Skullcandy and Medicom Toy.” Whew! Those “larger than life characters” include unicorns, cute cows, and other chibi human and funny animal creations. Turns out they’re available at a large number of well-known retail stores worldwide too.